Savvy Spending: Amazon: Victor Allen Kona Blend K Cups for just 26¢ each! 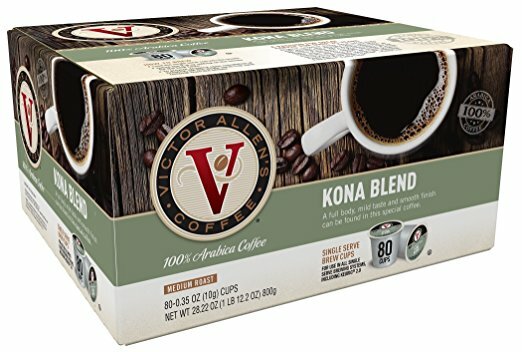 Amazon: Victor Allen Kona Blend K Cups for just 26¢ each! If you need to stock up on K Cups, check out this deal at Amazon! You can get an 80-count pack of Victor Allen Kona Blend Single Serve K-cups for just $20.97 shipped when you opt to Subscribe & Save. That makes each K-Cup just 26¢, which is a great deal! If you don't want to choose Subscribe & Save, you'll still only pay 28¢ each, so hurry and stock up now! This coffee gets great reviews!